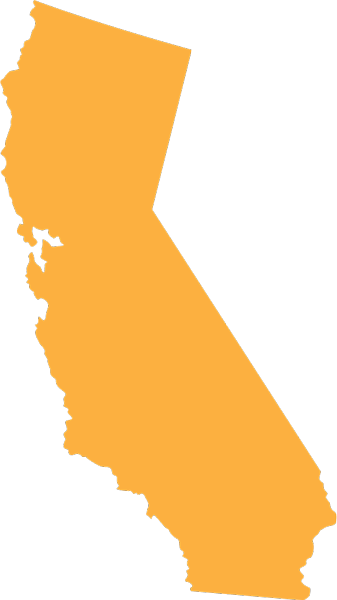 MediScripts provides prescription pads to active physicians in California. 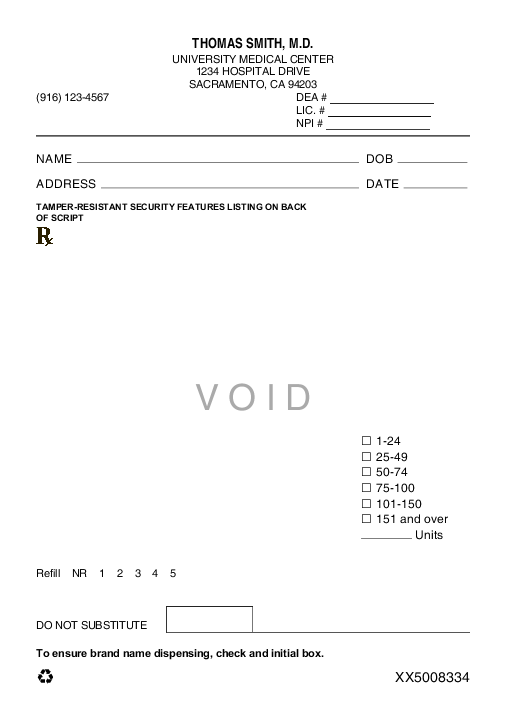 These tamper resistant prescription pads are secure, trusted and simple. Our prescription pads are personalized to meet individual practice needs. These requirements are only for hand-written prescriptions. They do not apply to verbal, faxed or electronic prescriptions. MediScripts is not an approved supplier of California Controlled Substance Prescription Forms. Healthcare practitioners in California and around the nation have trusted MediScripts since 1981. Order online and get $10 off our regular Rx Pad pricing! All pricing listed below includes shipping and handling. Subscription services provided by MediScripts ensure that you will receive timely reminder notifications for reordering your personalized prescription pads and access to an experienced and knowledgeable customer service team. Your subscription will include an order of 32 or 64 personalized, tamper-resistant prescription pads, each pad containing 50 prescription blanks. MediScripts prescription pads can be reordered to ensure a continuous supply. MediScripts Rx pads may contain FDA approved pharmaceutical messaging, when available. You may also receive important, time-sensitive pharmaceutical branded product information as part of your subscription service, when available. Subscriptions do not renew automatically as Rx pads are a regulated medical product that require prior order verification and prescriber credential approval. MediScripts prescription pads are backed by our 100% satisfaction guarantee in the event that your order is defective or incorrect due to error made by MediScripts. If you are not completely satisfied we are happy to offer replacements or refunds, though some exceptions or restrictions apply. If your order was damaged during shipping, please call our toll free number 1-800-387-3636 and we will arrange for the prescription pads to be returned to us and your no-charge replacement order will be produced and shipped back to you. Refunds may be issued within 90 days of purchase, though some exceptions or restrictions apply. If you have any questions, please contact us for more information.